Looking for Citrix training in Raleigh-Durham, NC or anywhere across the country? National Business Training offers Citrix certification courses to help achieve your objectives. Become a certified associate, professional or expert in the area of your choice. Our training can help you master your virtualization certification with hands-on experience designing, deploying and managing XenDesktop 7 solutions. Learn how you can utilize Citrix NetScaler to run applications better and optimize the user experience with a Citrix networking certification. Become a Citrix Certified Professional in mobility and gain the knowledge to implement secure mobile solutions within your organization. Whether you are new to Citrix, or ready to advance your existing skills, National Business Training provides the necessary training to achieve Citrix certification. Our hands-on lab environments allow students to experience real-life scenarios during their Citrix certification training that can easily carry over to on-the-job skills. Enterprise level or SMB? National Business Training has Citrix training options that include live online and client-site private training. Discover how National Business Training can help you achieve Citrix certification. 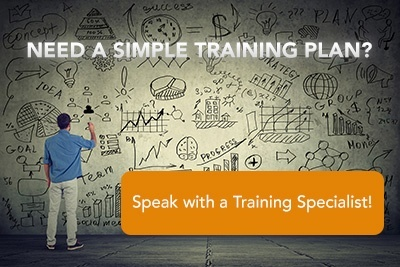 Contact us at 919-595-8200 or request a Training Solutions Plan today! This fast-paced Citrix course covers the major aspects of installing, configuring and managing a highly available XenApp and XenDesktop 7.1x environment. Learn the skills required to configure and manage NetScaler Citrix Traffic Management features, including Content Switching, Traffic Optimization, and more. Designed for students with little or no previous NetScaler experience who will be deploying or managing NetScaler environments. Learn the skills required to configure and manage NetScaler Gateway and Unified Gateway features, including how to implement Gateway components. Learn the skills necessary to deploy, secure and manage a Citrix NetScaler system with NetScaler Gateway in a desktop virtualization environment. This class is designed for those with previous NetScaler experience, and best suited for those who will be managing Citrix NetScaler Application Firewall. Explore networking security fundamentals and learn about various network attacks, such as SSL exploits and how to protect their network against them. Learn how to secure XenApp and XenDesktop traffic, and gain an understanding of when and where to secure traffic between XenApp and XenDesktop components. This Citrix course provides help desk representatives with the skills required to effectively troubleshoot and resolve user issues faster and more. This course provides students with the skills required to effectively support a Citrix application and desktop virtualization solution in a Windows Server 2012 R2 environment. This course provides students with the skills required to effectively support a Citrix app and desktop virtualization solution in a Windows Server 2012 environment.